'When the earth seems lost to greed and materialism, terrible battles will engulf the nations of the world. The age of man will reach its climax of bloodshed and the people of Shambhala will rise up to cleanse mankind's corruption' - Ancient Tibetan Prophecy. Tom Keeldan's story begins at the end. Scared and alone, he has but one task left; to pass on the knowledge and discoveries he made before it is too late. Re-lived through Tom's eyes, he tries to re-count the details of his adventures in a journal he hoped would find its way to someone willing to continue on in his place. This is not a story of an experienced adventurer hunting lost treasure, or of a scientist trying to harness ancient power. This is the story of a man, unremarkable in most ways, swept along in the tide of events larger and more sinister than he ever imagined. Tom is tasked with trying to track down a worldly traveller known as Archer and find out the implications of his research. Each clue along the way leads on to the next, producing more questions than answers as he follows a breadcrumb trail carefully left by him. A trail that eventually leads him in search of an ancient legend; an item of power, one of three gifted to mankind that became lost in history. Along the way he discovers a version of history he never knew existed, from a secret within the Tower of Babylon, to the arrival of Christianity in the British Isles and even the true influence behind Hitler's war machine. 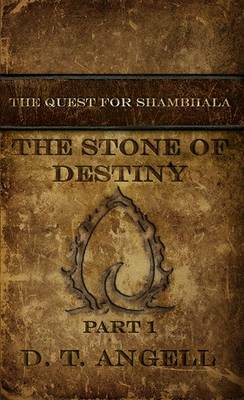 He doesn't know its purpose or its power, he knows only of his promise and the need for the Stone of Destiny to be returned home.